Anyhow, you may have noticed that netbooks are all the rage these days. 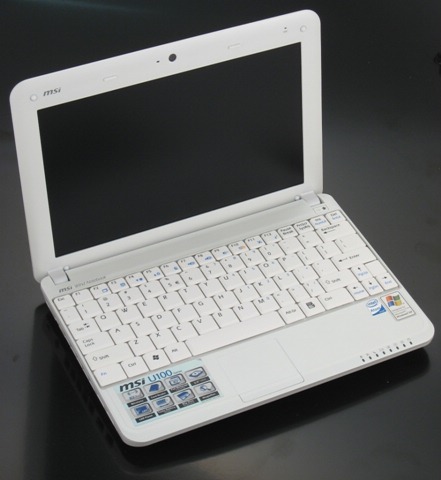 Without getting into their history too deeply, a netbook is essentially a very small laptop geared toward lightweight usage – browsing, email, image viewing, etc. – and is really the type of portable computing that I need. Both my primary home and work desktop PCs handle the “heavy duty” stuff that I do most regularly, but having a very portable system for working on the couch or at a coffee shop is quite liberating. Better yet, the current crop of netbooks are more-than-capable of handling more advanced tasks, such as: image editing, graphic design apps, Office docs, media apps, and so forth. Very nice! Truth be told, I owned an Asus EeePC netbook less than a year ago, but sold it off quickly for featuring some less-than-desirable traits. 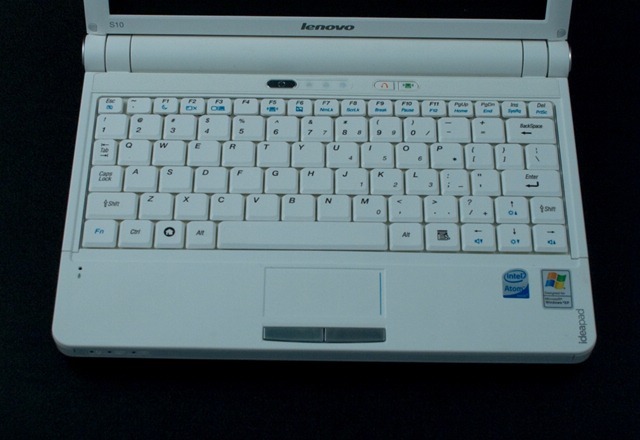 Although the EeePC, really started this whole trend, the earliest models were (in my opinion) too small, too slow, and difficult to use comfortably. This time around, though, I knew a bit better what to look for. Here are some brief thoughts with pros/cons on each model, with a final look at the unit that I finally decided upon. Acer has been making a lot of inroads into the PC market over the past few years, so it’s not surprising that they would be squarely in the middle of the netbook craze as well. 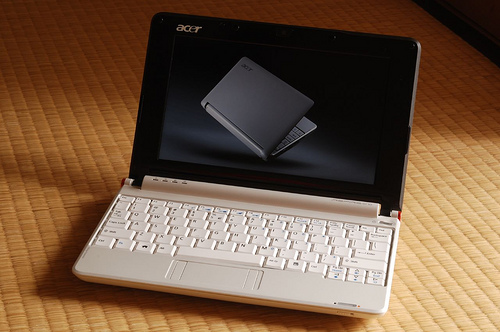 Quite simply, Acer provides good quality at a reasonable price, and the Acer Aspire One is no exception. Strangely, I never really gave the Aspire One much thought in my netbook search. Although a co-worker was kind enough to let me kick the tires on his personal Aspire One, it didn’t “wow” me in any way. Also, the earlier models were all 8.9” screens – outside of my requirements scope – and the later-released 10” models were priced somewhat higher. That said, the keyboard is better than most and there’s really very little to complain about. The mouse buttons are side-placed on the 8.9” models, which is a bit strange, and the 10” models opted for a rocker-style single mouse button that takes care of both left and right clicks. It may look better, but most reviewers are unhappy with that setup. Otherwise this is a very capable, if somewhat underwhelming, netbook. When all is said and done, I gave the Acer Aspire One a “pass” and moved along. Still, if you’re in the hunt for a decent netbook, this one really ought to be somewhere toward the top of your list. It’s a good machine. Asus really kicked this trend into a frenzy with their 7” EeePC line of netbooks, and some argue that they still produce the best netbooks out there. They might be right about that, but I was somehow turned off by the Asus. Perhaps they’re just too popular, but I found myself not wanting to like the Asus 1000 series. On the other hand, the newly released Asus 1000HE seems to get most everything right. 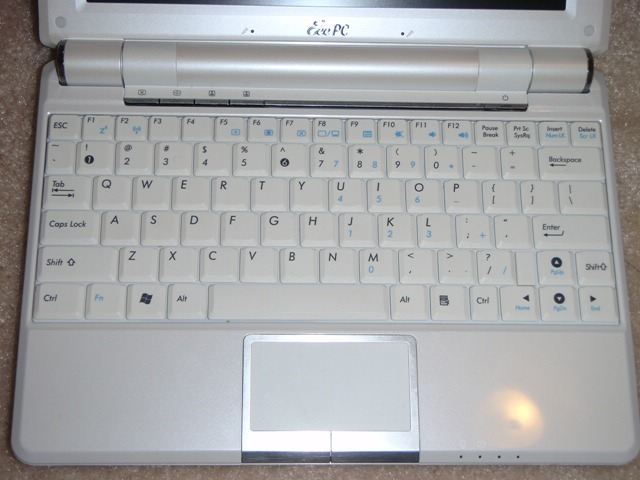 Keys are properly placed (though the right SHIFT is a tad small), the trackpad is big and multi-touchable, incredible battery life, and less “toy-like” than many previous EeePC models. The slightly higher price kept it out of my range, but I kept an eye out for a good deal on the 1000HE during my search. When all was said and done, I did not end up going with the 1000HE either. Much like the Acer Aspire One, though, this device really ought to be high up on your list of consideration. Similar to the Acer Aspire One, the Dell Minis came out of the gates with an 8.9” screen configuration – once again, out of my requirements scope. Still, I couldn’t deny how nice these laptops look. I really like ‘em! They’re sleek, small, and nice to look at. 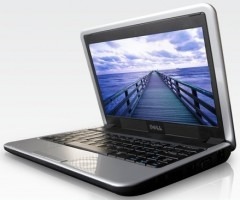 I was very happy to read that Dell was coming out with a 10” version of their Mini line! Well…the happiness didn’t last long. Whereas the Dell Mini 9 looked very nice, it really suffered in the keyboard department. A wrongly-placed right SHIFT key (notice a trend? ), awkward functions keys, and outright missing F11 and F12 keys! Still… this ought to have been easily remedied with the Dell Mini 10, right? Absolutely! The Mini 10 is a joy to behold…until you find out that the RAM is maxed at 1GB. In all seriousness, the Dell Mini 10 is one of the nicest-looking netbooks around, but the low RAM ceiling and higher-price tag keep it out of reach. Try again, Dell. You almost had it. Another nice-looking netbook is the Lenovo IdeaPad S10, which really appeals more to the minimalist design guy within me than anything else. It’s not flashy, but rather just very simple. I like it. It’s been called somewhat “toy-like”, which I knocked Asus for, but I didn’t get that impression. My buddy Andy really liked the 2.5” SATA drive that these (and other netbooks often) use, which is a nice option. Personally, I didn’t have much of a preference between SATA, SSD, or whatever. Enough space to load Win7 and some apps is good enough for me. The primary issue with the Lenovo S10, unfortunately, is (once again) the keyboard. First of all, the darned right SHIFT key is out of place, and way too small. Secondly, the FN and CTRL keys on the left are swapped, which really makes for some frustrating typing. Once those two issues became apparent, I had to move along. Sorry, Lenovo. Back to the drawing board. There is actually a newer MSI Wind – the U120 – which sports some impressive specs at a nice price point, but like the Dell Mini 10 it maxes out a 1gig of RAM. Are you guys nuts?! C’mon!! Anyhow, this is where my research eventually landed me a “buy”. The MSI Wind U100 has all of the requisite ports, a SATA drive, nice screen, and so forth. I eventually picked one up via Craigslist and ended up nabbing an even better model – complete with Bluetooth, Wireless N, and 2gigs of RAM – for $340, which was just below my money threshold. Sadly, I didn’t pay near enough attention, because the keyboard suffers from the same “swapped key” issue as the Lenovo S10, plus an aggravatingly small “period” (.) key. It didn’t take me long to loathe typing on it. But that wasn’t the only issue. It wasn’t until after I had purchased the MSI Wind that I found out the “dirty little secret” about these netbooks: the later models ship with a very substandard touchpad produced by Sentellic. 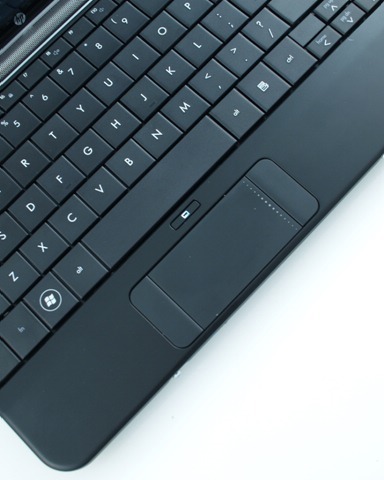 The movement of the touchpad is “ok” at best, but I’ve come to expect a reasonable method for scrolling with laptop touchpads – and usually via the vertical space on the far right of the touchpad. If you imagine the right-most 10% of the touchpad as a vertical stripe, then you might get the idea. Move your finger up or down that “stripe” and you can scroll. Pretty easy to do, and it’s been a staple on laptops for years. Sentellic touchpads, however – probably due to licensing reasons with Synaptics – do not feature this behavior. Rather, you tap the upper-right or lower-right corners to scroll. In theory, it’s not much of a big deal, but in practice it’s absolutely aggravating! It also didn’t work most of the time, which (as my co-worker would say) is just “gravy on the icing”. 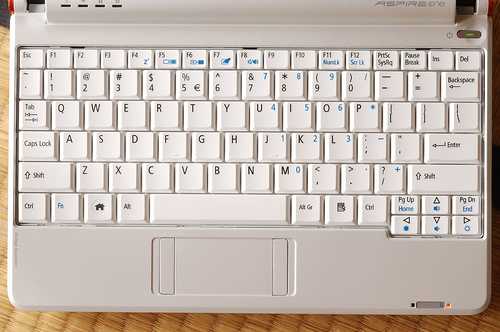 The MSI Wind is really a nice netbook, but the keyboard and touchpad issues are inexcusable. Within 3 days it was re-sold via Craigslist. 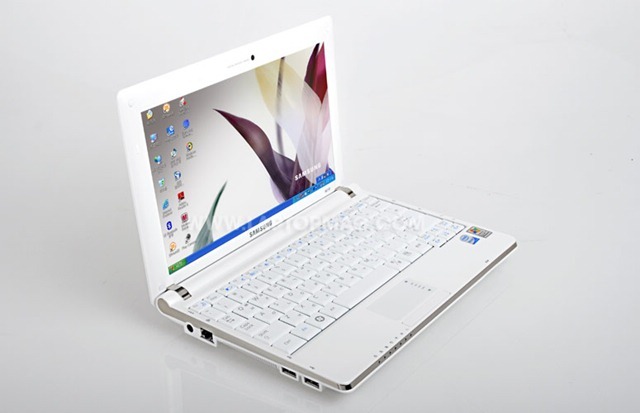 Without a doubt, one of the very best netbooks out there is the Samsung NC10 – a relative newcomer in this market segment. Not only does the NC10 look quite nice, but it also offers incredibly long battery life, a near-full-size keyboard, and proper key placements. In fact, there is very little to knock the NC10 for, save for a hefty tag – and it is hefty. At around $425, the Samsung NC10 was clearly outta my range. It’s too bad, though, because it’s a great little netbook that has nearly unanimous “raves”. Without being flashy or standing out from the crowd a whole lot, the NC10 manages to do most everything right. Got a little extra cash for a netbook? Give the Samsung NC10 a very strong look. It’s a nice device. The last netbook in my line-up is actually one that I had my eye on from the near beginning. The HP Mini 1000 Series of netbooks are quite different from others in this segment, and not necessarily for the better, depending upon who you ask. For starters, the HP Mini 1000s are somewhat smaller than the competition. The shape is more rectangular than square and, in this case, means that the screen is ever so slightly smaller. It still features a 10” screen, but at a 1024 x 576 resolution (vs. the standard 1024 x 600). In fact, you could knock the HP Mini in a number of areas: only 2 USB ports (one less than typical), no VGA out (you need a dongle – not included), side-placed mouse buttons, shared headphone/mic jack, 1.8” drive vs. 2.5” (easier to find an upgrade for), and a 3-cell battery which equates to about 2.5 hours of battery life. Trust me… I weighed every single item here and thought them through. The truth is, I rarely plug in more than a one USB device, VGA out is nice to have (but rarely used… by me), I haven’t plugged in a 1/8” microphone in years, I opted for the SSD drive (which is somewhat faster), and 2.5 hours of battery life is ok for my usage. This could very well have been a case of “reason away the negatives to get the thing I really want”, but I’m confident that some of my reasoning here is quite right-on… at least for me. I plunked down and bought one. So… let’s talk about where the HP Mini shines! First of all, this is a beautiful little device. I mean really, really nice. Whereas a lot of PC vendors seem to put the bare minimum into external design considerations, HP is one of the few who (in my opinion) has some real class. Much like Apple, HP makes some design decisions that can really rub people the wrong way, but there’s no denying that they look nice. 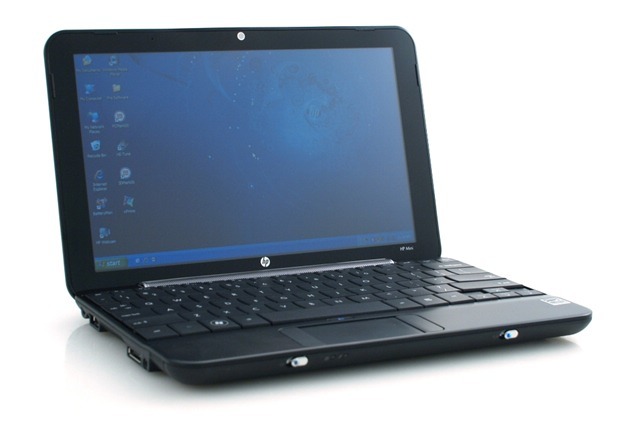 In the crowded netbook space, the HP Mini 1000 definitely turns some heads. Secondly, the keyboard is phenomenal. 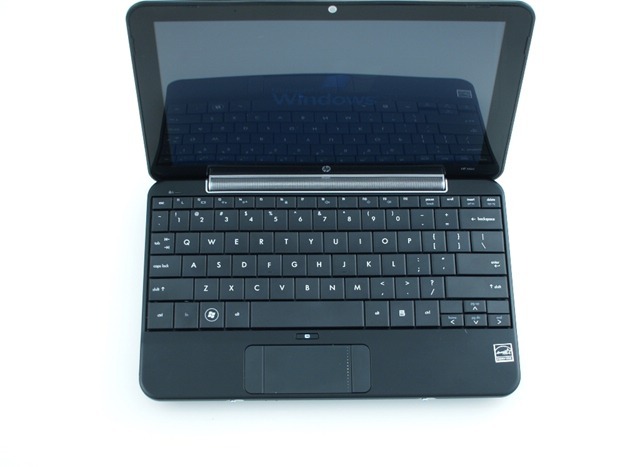 In a space where other netbooks are suffering in their keyboard design, the HP Mini features a 92% (of full-size) keyboard that is incredibly useable and a joy to type on. I don’t know of many full-size laptops that have a better keyboard than this. Nice work, HP! Thirdly, this is a very light and portable device. All netbooks are small, of course, but the HP trumps them all with a very compact and lightweight design. The battery and battery-life are small as well, of course, but it’s hard to beat the HP on portability. Fourthly, the touchpad is quite useable, thanks to Synaptics. Although I would prefer the vertical height of the touchpad to be a bit taller, it really hasn’t been a huge issue. That said, the HP does have the side-placed mouse buttons, which many folks don’t like. I had my doubts as well, but in practice they’ve not been much of an issue. I tend to “tap” the touchpad, rather than the left button, which really resolves most of the issue there. On occasion, though, I’ll simply use both hands (when necessary) with my left on the left button, and my right using the touchpad. It’s actually quite comfortable. The buttons themselves work and feel great, I should mention. Also, the right-hand side vertical scrolling works well. A “must have”. The HP Mini features a “gloss” screen, which isn’t everyone’s favorite. In fact, the entire top half of the laptop is glossy! Again, it hasn’t been a huge issue in real world usage, but I’ve noticed it. The LED backlit screen is very nice, though. Although the HP Mini 1000 comes in many flavors, I opted for the HP Mini 1120NR, which ships with an HP-infused Ubuntu Linux build and a 16gig SSD drive. The SSD drive isn’t the fastest in the world, but my experience with it has been fine. “Read” speeds are quite nice, but “write” speeds can suffer on occasion. The Linux OS, while fun to use and likely quite sufficient for many, only lasted a few hours in my world. I quickly wiped it and installed Windows 7 Beta 7000. Since I already owned an external USB DVD drive, installation was a snap. Windows 7 found every device on the HP Mini and installed the correct drivers. The only thing I had to manually grab was better touchpad support to allow for the vertical scrolling. (The Synaptics site had those.) Using Windows 7 on a netbook is a much better experience than either XP or Vista – believe me. Win7 knows how to handle the smaller resolution screen, power management is great, and the processing performance is very impressive. I also loaded Office 2007, CorelDraw 9 (no comments, please), Microsoft Expression Studio, Live Mesh, and a handful of other apps that I always use. Even with a 2gig hibernation file (I turned off the paging file), I’ve got 3 gigs of free space, which is more than enough for me. I can always add a thumb drive or SDHC card if I need more room. Lastly, I should mention the how great the HP Mini packaging is. It looked very good, opened easily, and included everything I needed – without a bunch of junk that I didn’t need. It was a nice first impression – one that more vendors should take note of. 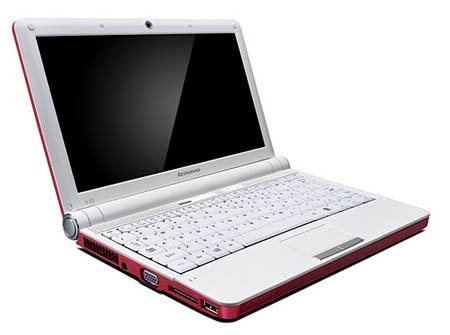 For some great netbook reviews, please check out NotebookReview.com and LaptopMag.com. Both sites helped me a ton! Great set of reviews — that’s a gorgeous HP. Glad to hear Win7 is treating you well! btw Just heard about the 3/4 Soundgarden reunion (dubbed TADgarden); pretty cool! Maybe Chris will come around? Probably not. Well… I’ve got a bit of a reputation for “researching things to death”, which is more or less true 🙂 To be honest, though, I really enjoy researching things — netbooks, phones, vacuum cleaners, whatever — usually more than actually getting the thing! I guess it’s the “pursuit” vs the “having”. Anyhow, hopefully my homework will help you out a bit! GREAT machine, with one exception, which i discovered on a trip recently when i went to use dial-up to connect to the www THERE IS NO MODEM! don’t know why i didn’t notice before, perhaps because specs above falsely state there is. anyway, must buy an external (very small) usb plug in 56K modem for circa $45, i insist on having dialup capability (hey, it ALWAYS WORKS, tho slow, and useful only for email. but when your dsl or t1 goes down, dialup ALWAYS WORKS)(did i say that it ALWAYS WORKS?) BUT GREAT MACHINE, all i wanted, cool, cool, cool. no flaws and well thought out, always a pleasure to experience good design and execution (except that the damn targus external cd/dvd is 1) at $149 half the cost of the computer, thus way too high, and 2) READ ONLY, ie no writing. but this is a netbook, you shouldn’t be copying CDs or DVDs on this machine anyway.) GREAT MACHINE!!!!!! BTW, they offer another acer aspire one with a 10.1″ screen now, careful comparing of specs and dimensions and viewing of pics reveal same keyboard just wider and taller case by about one-half inch in toto in each dimension to get (on the diagonal) 1″ more screen and to put touchpad buttons at bottom like some losers have been complaining about on this machine. slightly heavier (wouldn’t be noticable) and $20 more. exact same innards and specs (incl NO MODEM). make sure you buy the right size carry case, etc. but i like this one. SWEET. also, re the “form factor” of the 6 cell larger battery, it really adds a useful handle to the machine, and ain’t at all too big or protruding. i prefer it, esp considering the doubling of time you gain. GREAT MACHINE, soooo much nicer than the HP mini (and i am an HP fan). a home run, maybe with bases loaded – GRAND SLAM! I think I will get a Samsung NC10, it looks really great and has good specs. Or does anybody know a notebook with similar specs?